No Fenders -Formula 1, IndyCar and A Whole lot more..: Does America really need a Home Grown talent to root for in Formula 1? Although this topic has come ‘N gone over the years, for reasons unknown, its reared its UGLY head once again for Mwah after hearing Connor Daily on that ‘lil Autosport Radio Show awhile ago... As I’ve truly never grasped this concept upon having been thru the lack ‘O Yank drivers during my F1 Odyssey. Cheever was in his final year of F1 when I attended my debutant Grand Prix, the 1989 Iceberg GP in Phoenix, Arizona, where Eddie was now piloting the team’s A11-chassis propelled by the ubiquitous Cosworth; now in 3.5-liter DFR V-8 guise, a descendant of the all conquering DFV power-plant alongside Derrick Warwick, under USFG title sponsorship. Ironically the Phoenix born racer would finish third that day, probably his final podium placing in Formula 1. Yet I can still vividly recall being more enthralled by the machinery then the drivers back then - as I’ve still got the Ivan Capelli Leyton House March 881-Judd poster on my wall, along with being overly enamoured by la Scuderia, (Ferrari) McLaren, the Benetton Fords and “Stevie Johnson’s” (Stefan Johansson) Onyx. Then it would be a further four years until Mikey Andretti made his mostly unforgettable one-season foray into Formula 1 as Ayrton Senna’s sidekick at the struggling McLaren outfit; which I say struggling in the sense that they’d just gone thru the most impressive run of seven (Drivers) championships between 1984-86, 1988-91 - and was trying to re-establish itself after losing its Honda factory engine links at the end of the ’92 season. Unfortunately Andretti had decided to pursue a Formula 1 career the year the team had opted at the last moment for Customer Ford HB V-8’s, as I recall rooting for Benetton, then the “Works” Ford team to beat McLaren; as how daunting must it have been for the rookie to have the almighty Ayrton (Senna) as his team leader? Andretti would garner victory for Ganassi in his first race outing, for the ‘Cheepster along with scoring Reynard’s debutant IndyCar victory in its inaugural event at Surfers Paradise, Australia. Remember when CART contested fantastic events upon the Gold Coast where the Sheila’s are legendary? Just ask ‘TAG ‘bout that, eh? Can you say Bronte? Thus I find it somewhat overrated that we truly need a ‘Yank in F1? As I’ve been thru two longish spells when we didn’t even have a Grand Prix; 1992-99 and 2008-11, which makes it seem even funnier that we were originally slated to have two Grand Prix’s in 2013, albeit not the first time, since we used to have a USGP West & East for several years at Long Beach and Watkins Glen. And I’d hazard a guess that it was a different era way back in the 1970’s when the US saw only its second ever world champion crowned, as Mario Andretti is undoubtedly America’s finest Formula 1 driver, although Dan Gurney who proceeded him was highly ranked by the legendary Flying Scot Jimmy Clark... While many here stateside consider Mario the finest driver ever due to his unquestionable winning diversity; as Mario scored twelve Grand Prix victories over his Formula 1 career which spanned from 1968 to 1982, albeit taking multiple breaks between his early years to focus upon his IndyCar career - driving for the likes of Lotus, March, Ferrari, Alfa Romeo and Williams; with multiple stints at Lotus and Ferrari. Mario first tasted the champagne in 1971 upon Kyalami’s top podium step on his debut at Scuderia Ferrari, with his final F1 victory coming in the 1978 Dutch Grand Prix at Zandvoort. Andretti’s final two Formula 1 races at the remarkable age of 42 were for his home country and every driver’s dream, la Scuderia (Ferrari) as he was called into action by enzo to help fill the void left by the death of Gilles Villeneuve and the injured Didier Pironi. As ironically Mario finished his F1 career 30-years ago this September aboard the Ferrari 126 C2, an evolution of la Scuderia’s first ever Turbocar, the 126 C.
Mario made his swan song by electrifying the Tiafosi at Monza, Italy by taking Pole and then finishing third; giving Scuderia Ferrari a 2-3 finish with Patrick Tambay finishing ahead of the upstart American. Yet Mario’s final race was far more sober - at the much unloved Caesar’s Palace parking lot course in Las Vegas, where Mario’s rear suspension failed on lap-26; as the torch was passed to Ferrari’s next great hope Michele Alboreto - who won his debutant Grand Prix victory for Tyrrell there. As you could arguably claim Mario’s leaving for CART and Newman Haas Racing was the closing of a chapter in Yanks racing in Formula 1, as none have been victorious since - not to mention being relatively unheralded with the exception of Mario’s son Michael eleven years later. And how does Formula 1 seriously intend to conquer the almighty 869lb Gorilla called ‘RASSSCAR with this type of ineptitude currently overflowing in America? Thus by my very unscientific accounting, in the past decade, there have been a total of seven Americans to sample F1 machinery during a race weekend or “proper” test session or straightline Aero test: Sarah Fisher, Bryan Herta, Townsend Bell, Marco Andretti, J.R. Hildebrand, Alexander Rossi and Conor Daily; as I’ve skipped Graham Rahal’s demonstration runs at the Consumer Electronics Show. While one lone Yank named Scott Speed actually contested Formula 1, albeit at the back end of the grid with the neutered Toro Rosso 3.0-liter Cosworth V-10. And how many of those drivers were given chances solely to try pumping up the craving for F1 in America? As currently our most poised Americano to potentially land himself a Formula 1 ride, albeit I’d say a slim chance is Alexander Rossi, currently one of Caterham F1’s test & reserve drivers - who’s the first Yank to drive an F1 car during a Grand Prix weekend since the departed Speed, when Rossi deputized for Heikke Kovalainen in Free Practise-1 at the Spanish GP this year. As Rossi’s just one of three American’s to ever contest a GP2 race, which at the moment is the pre-eminent feeder series into Formula 1, while having spent 2012 competing in the World Series Renault 3.5-liter series for Arden Caterham Motorsports. 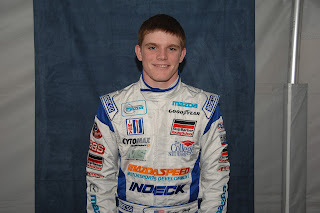 Conor is apparently chasing his dreams of becoming a future Gran Primo Piloto, which obviously I can only commend him upon, as he blitzed the Star Mazda field en route to the 2010 title by setting a record nine poles and seven wins. He then made the jump up to Indy Lights for three races with Sam Schmidt Motorsports and won at Long Beach - before zooming off to Europe to contest the inaugural ’11 GP3 championship, ironically won by Mexico’s Esteban Gutierrez. Conor then contested his sophomore GP3 season, this year with the Lotus GP concern; NO relation to Lotus F1 - which is a subject for a different day, eh? 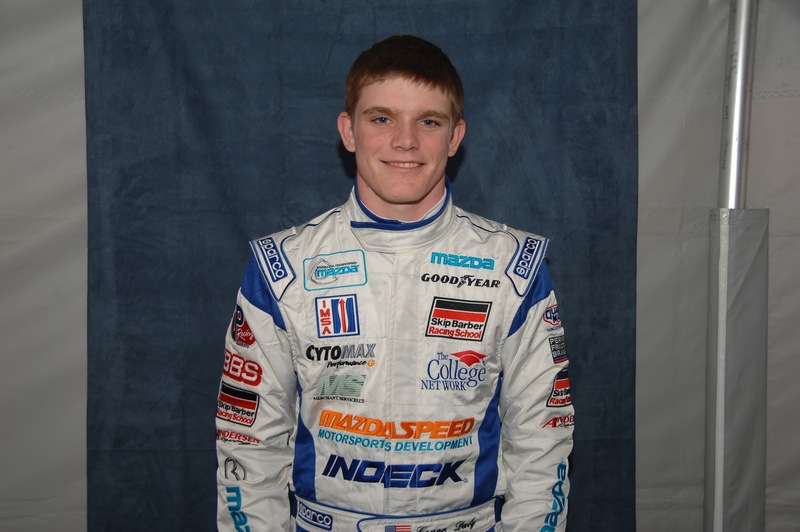 Daly subsequently has won the opening round of the MRF Challenge Series at the Buddh International Circuit in India, during the Indian Grand Prix weekend, presumably a support race? Do I want Conor to succeed? Naturally, of course - but I’m not going to hold my breath, as first he needs to elevate himself to the unheralded ranks of test/reserve driver; what I affectionately label as glorified Simulator ‘Jockeys these days, as I wouldn’t be surprised to see Rossi running another FP1 session in Austin this weekend. Yet Hell! If we’re gonna get carried away on the jingoism of nation building; U-S-A U-S-A U-S-A! Then it seems it would make sense for Mercedes to roll out Oh ‘KanaDuh’s Robert Wickens, nee thee Young ‘Wicky along with Sauber running Gutierrez alongside Sergio Perez in order to give both America’s four future Grand Prix stars to salivate over. Or does it really matter in the grand scheme of things? As after all isn’t it simply ‘RASSCAR or BUST for the majority of American racing fans?